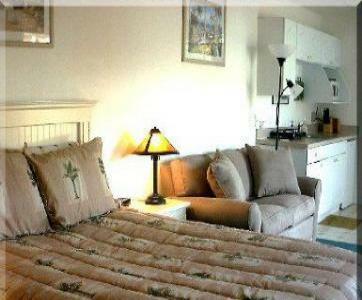 GREAT STUDIO with kitchenette near DisneyWorld! has a queen bed... and a sofa that turns to twin (see pictures). bustle of the big city, and STILL SO VERY CLOSE to all the action! You will find extra linens and towels in the walk-in closet. You will enjoy the great cable system TV, and wireless internet. CLOSE to DisneyWorld Parks and ALL the attractions. Davenport boasts the BEST golf courses in Central Florida! our pool and clubhouse will be reopened by the time of your arrival. request! No need to miss out on swimming. $50 per night... or $300 per week... or $800 per month.